I am using radiorage to listen to your music but I have lot of problems in listening to Hello FM 106.4, Surya and other stations. At present I could use only Chennai FM Rai. I really enjoy your program can you please help us to listen to these stations. I can not hear Hello FM 106.4 for the past 10 days. Since I am living in australia, this is the only way to listen to radio with tamil songs. All the programmes in Hello FM are good, especially Aathi choodi, anjarai petti and S.V. Shekar dramas. Can you please fix the problem as soon as possible?Normally I listen this station in my internet radio or in my computer or in I phone. Nothing is working at the moment. Now it is fixed , you need Adobe flash player plugin installed on your system to listen this FM station.. Any problem then inform me ? I also can’t connect to Hello Fm last few weeks. I have been trying to conenct Hello FM thru I PHONE, PC, Internet. Everywhere I am getting an error message of ” this radio is not working”, or “stream offline”. I think the problem is not yet fixed!. Any luck , !! Hello Fm is working for you? The Hello FM uses Flash Player, which is not supported by Iphone. So we need to download the Flash player supported browser in appstore (like Puffin free..).. From that browser we can listen the Hello Fm 106… by providing http://www.hello.fm/livestream.aspx. Hello FM flash player works well with Puffin free web browser on iPhone. Thanks for your support friends. Once again the stream is not available. Please fix it asap. Being in Bangalore, this is the only way I can be with Hello FM. Hello FM not working in iPhone. Could any one help the people with iPhone to listen to Hello FM! Tune in radio app doesn’t work! Any idea to play the adobe flash on iPhone? Pls share ur knowledge…. Help everyone!! Unable to listen to Hello FM. Have installed the most up to date version of flash player a few minutes ago. Still no streaming. We have been missing Hello FM for two weeks. Thank you. It is working fine here, What browser you are using ? Hi, great link. I’ve always wanted to hear Hello FM ever since the link through Tune-In Radio on the iPhone stopped working. However, like what some of you guys suggested, I got Puffin Free for my iPhone to hear but I can’t multi-task and exit from the app now. Is there anyone who has an idea on going thru this?? hello friends i live in bangalore i miss all tamil fm radios relayed from chennai. my favourite radio is hello fm 106.4. i am using my receiva internet radio to listen this radio . for the past one month i am unable to hear this station . 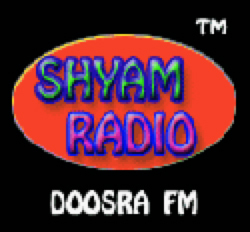 any one please help me in giving me correct url for this station. thank you friends in advance. Today morning Neenga sonna yanai thathuvam roomba sooper. athu eppadi solla yethum kidaikalaina kooda yetho onnu sonthama solli nigalchiyei sirappa akkarenga. Ungalai neril parkanum pola irruku. Balaji really great. Hello friends,,,I am been put up in bangalore where i couldnot listen to any tamil FM’s…i am using the Android phone…so please someone help me to download the app for tamil fm’s to my android phone….i am very much fond of all the tamil FM’s…please please please someone help me on this….need a kind reply from someone asap…. I am from Singapore. 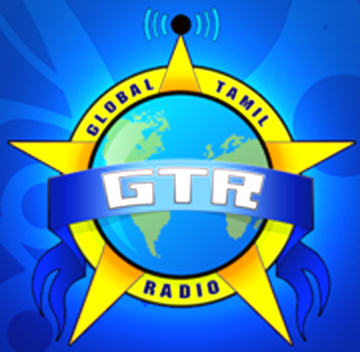 Here i am listening so many Tamil FM from Singapore and Malaysia and Australia. But Hallo FM from Chennai is beautiful light music with Hit songs. friendship good thing in life so,by friendship no children will die it is parents or teachers only.